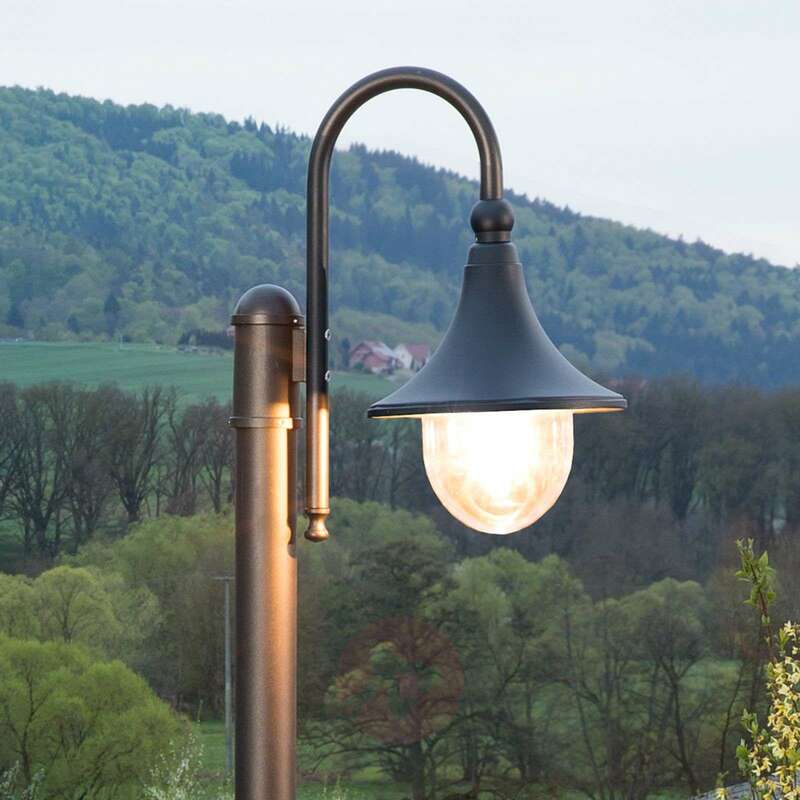 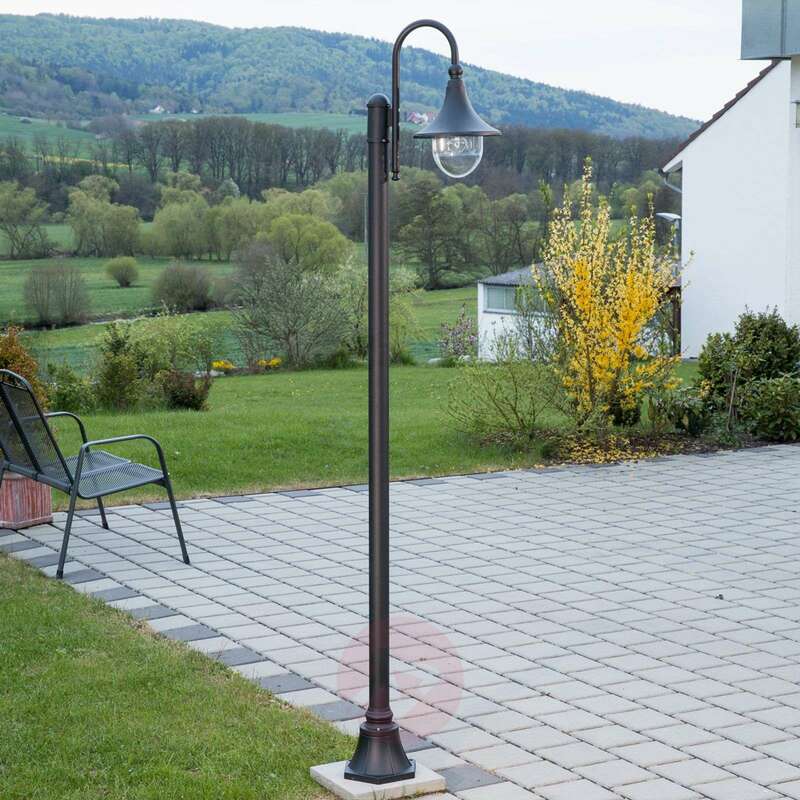 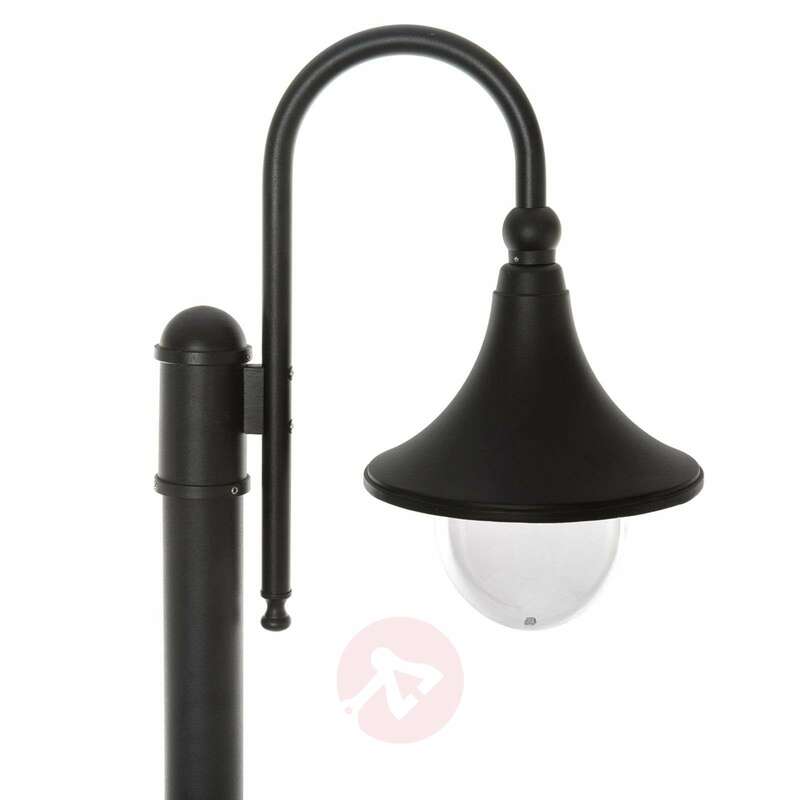 A comparably timeless and charming design is the hallmark of the Daphne post light, which stylishly illuminates gardens and parks. 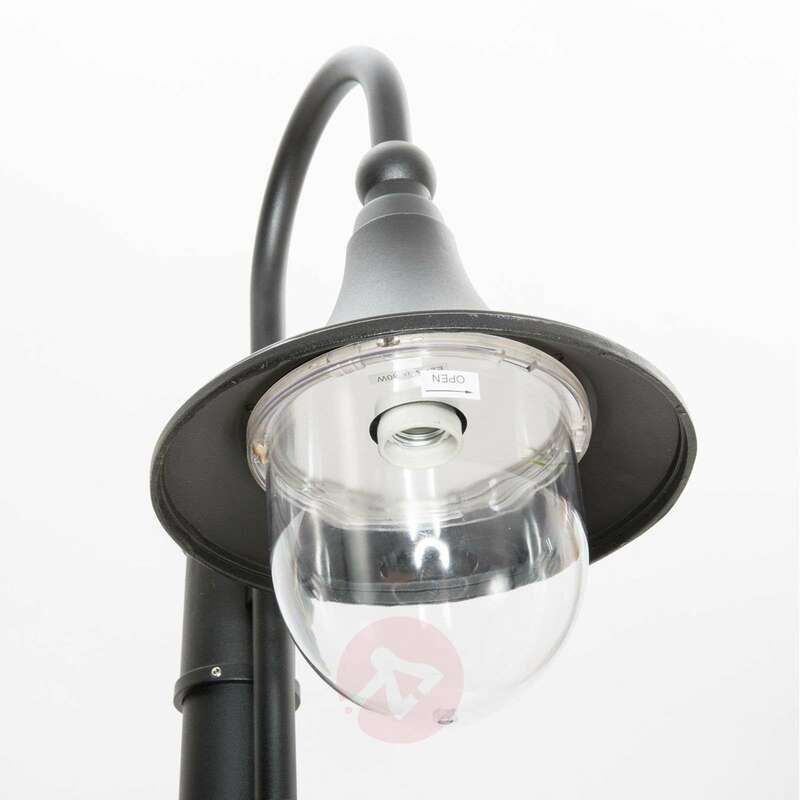 The head curves downwards; the lampshade becomes wider and takes on a bell shape and is rounded off at the bottom with a clear, polycarbonate diffuser. 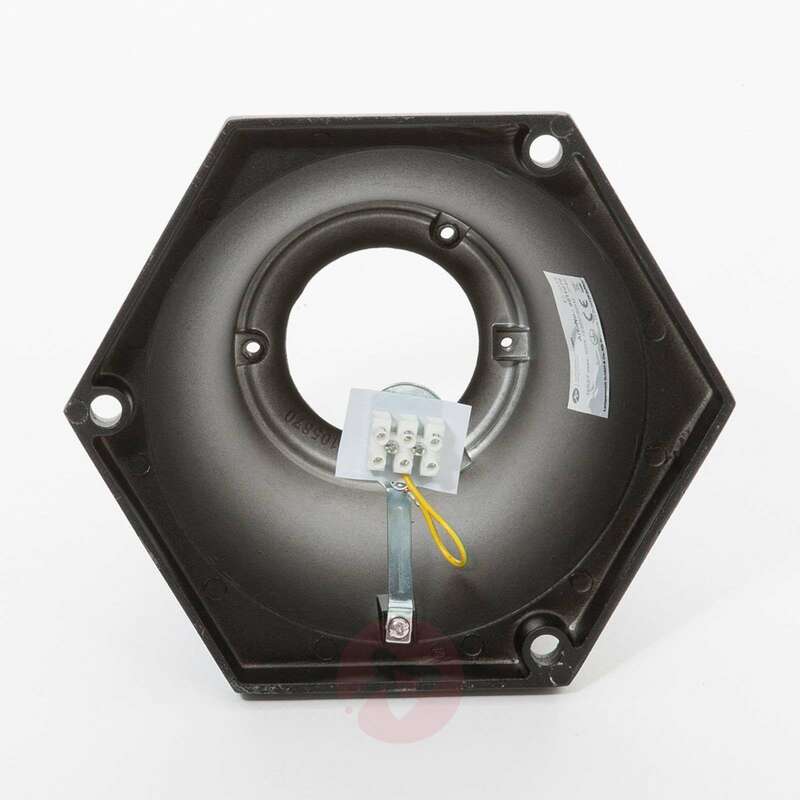 Any bulb with an E27 base that has the right dimensions can be used. This ensures that adequate lighting can always be provided outdoors, which offers protection from hazards that you would not see in the dark. 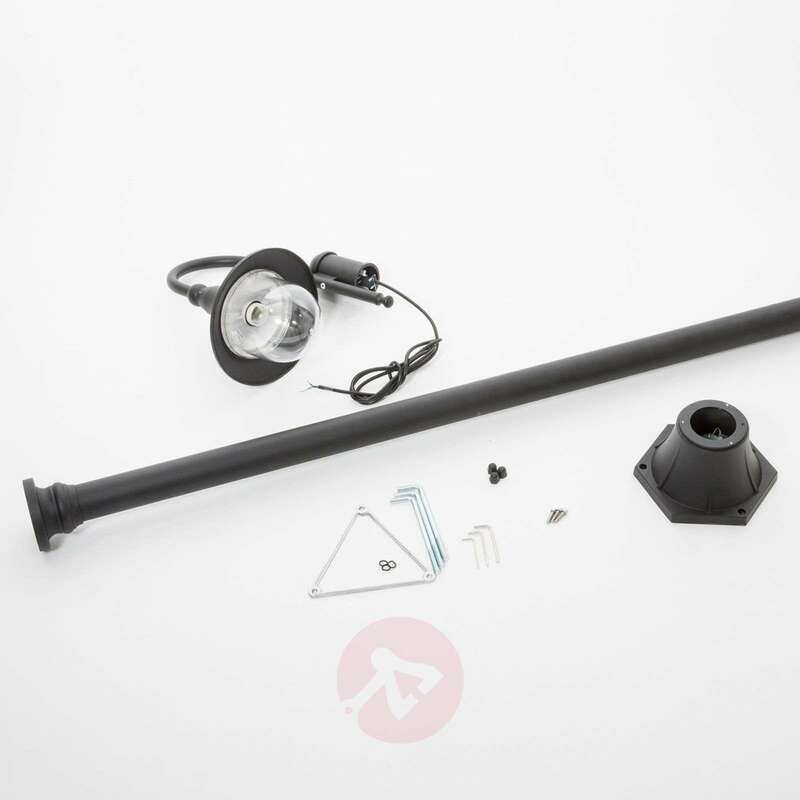 Hi I want to know if the light stand is cast iron or not. 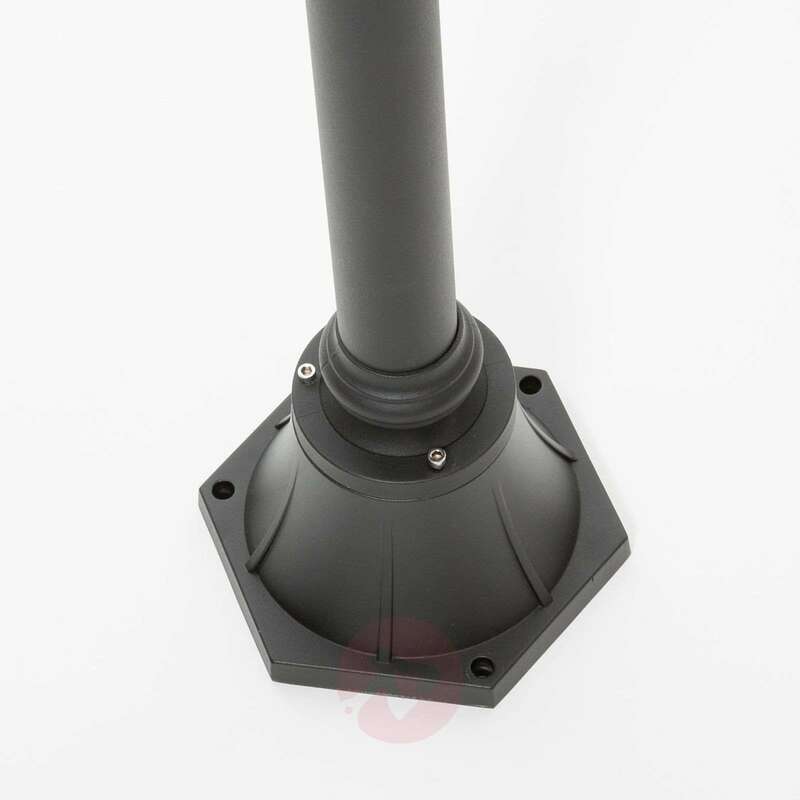 thank you for your question.The light stand is aluminium.